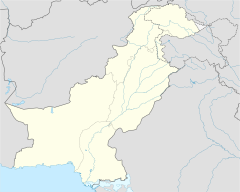 On 20 January 2016, four gunmen opened fire at Bacha Khan University (Urdu: جامعہ باچاخان ‎) near Charsadda, Pakistan. It is located in the Charsadda District of Khyber Pakhtunkhwa. At least 22 people were killed and over 20 others were wounded. Over 200 students were rescued from the premises, while the gunmen were killed by security forces. The Tariq Geedar Afridi faction of the Tehrik-i-Taliban Pakistan claimed responsibility for the attack, although the main spokesman for Tehrik-i-Taliban Pakistan later denied and condemned the assault. On 23 January 2016, the Pakistani army laid the blame on a Pakistani Taliban commander and the leader of its Tariq Geedar group, Khalifa Omar Mansoor alongside his deputy Qari Zakir. Pakistan has been affected by years of militant violence, which has seen hundreds of suspected militants killed and arrested under a crackdown launched. Education and educational institutions have been frequently under attack since Taliban took hold of valleys of Swat in early 2000s. They frequently attacked and burned schools in Swat valley during their years of hold. A young schoolgirl Malala Yousafzai strongly opposed the Taliban in her blogs. She was also attacked and seriously injured. Pakistan Army launched an operation in the valley during the time when Awami National Party (ANP) was in power in Khyber Pakhtunkhwa. The Taliban was effectively driven out of the valley in later years. Over the years, the Taliban have launched reprisal attacks on ANP leadership including Asfandyar Wali Khan, grandson of Bacha Khan. One of those attacks killed a government minister, Bashir Ahmed Bilour and only son of Mian Iftikhar Hussain, another minister. Four days before the attack, Indian defense minister Manohar Parriker passed an indirect threat to Pakistan while blaming Pakistan based elements for Pathankot attack. He said that India will respond in similar manner. A few days before the attack, authorities closed some schools in Peshawar because they believed an attack was being planned. A nearby school was attacked and 130 students were killed in 2014. A mushaira (poetry gathering) to honour Khan Abdul Ghaffar Khan (secular Pashtun nationalist leader after whom the university is named) may have been the target, as he opposed the Mujahadeen against the 1979 Soviet invasion of Afghanistan. At 9:30 am, four men entered classrooms and accommodation blocks, opening fire on teachers and students; they were also armed with suicide vests. The attack happened as the students and faculty members gathered at the school for a poetry recital to commemorate the death anniversary of Gandhian Khan Abdul Ghaffar Khan. The university was reportedly not adequately secured, especially at the backside of the building, which had low boundary walls. Witnesses reported that an assistant professor, armed with a pistol, fired at the assailants. According to provincial Health Minister Shaukat Ali Yousafzai, more than 30 people have been killed and over 60 wounded, including students and an assistant professor. More than 60 students were rescued from the premises. According to an army spokesperson, four gunmen have been killed. Provincial Public Health Engineering Minister Shah Farman said: "54 security guards were stationed at the university. Around 200 people were present in the examination hall, all of whom were rescued, and timely action by police and army has prevented large scale damage". The Education Department in Charsadda has announced the closure of all schools for 10 days. Adnan Khan, a canteen owner in the university saw gunmen entering the university and instructed students to remain silent and turn off their mobile phones thus as a result saved many lives. Victims included 17 students, two gardeners, a caretaker and a professor. A later investigation revealed 21 people had been killed, mostly students at an all-male hostel. A security official said the death toll could rise to as high as 40 as army commandos cleared out student hostels and classrooms. According to reports from eyewitness students, 27 years old assistant chemistry professor Syed Hamid Hussain died attempting to defend students with a pistol. Some eyewitnesses said his actions saved lives and delayed attackers for up to 15 minutes. There were also reports of a student armed with a pistol helping Hussain. The reports are conflicting with some saying he rushed out of the classroom and some saying he was killed on the spot where he confronted the attackers. Hussain is regarded as a hero of this attack in Pakistan. The Dara Adma Khel branch of Tehrik-i-Taliban Pakistan claimed responsibility. The attack was believed to have been planned by Khalifa Omar Mansoor of Tehreek-i-Taliban Pakistan's Tariq Geedar Afridi faction, after he claimed the attack through a post on his Facebook page, adding that four attackers were sent to the university. Mansoor is also the alleged mastermind of the 2014 Peshawar school massacre. Mansoor told the media that the attack was in response to a military offensive against militant strongholds. However, the group's main spokesman, Mohammad Khurasani, later said the Pakistani Taliban had not been involved. He also condemned the attack as "un-Islamic." Some sources claimed that phone calls of attackers were traced to neighbouring Afghanistan giving an indication that attack planners were based somewhere in that country. Pakistani media Dunya News alleged that the attack commander was in contact with the Indian embassy in Jalalabad[nb 2] and attackers were paid 30 lac rupees by the embassy to carry out the attacks. Pakistan's former interior minister Rehman Malik also blamed Indian secret agency RAW for planning and carrying out the attacks. On 23 January 2016, the Pakistani army spokesperson said that Mansoor was the mastermind and the attack was managed by his deputy Qari Zakir. It was reported that the attackers gave stiff resistance to state security forces as they engaged in an operation to clear the university over several hours. Unnamed intelligence sources said eight to 10 attackers were inside the school and that they were between 18 and 25 years old wearing civilian clothes with their faces covered. Prime Minister Nawaz Sharif, who was in Zurich to attend the World Economic Forum, said: "I'm deeply grieved over the attack, and we are determined and resolved in our commitment to wipe out the menace of terrorism from our homeland. Chief of Army Staff General Raheel Sharif reached Charsadda to boost the morale of the security personnel and took part in the operation. Speaking from the university, former health minister Shaukat Ali Yousafzai said: "This is a frontline province. We are fighting Pakistan's war in this province... The backs of terrorists have been broken and they are breathing their last. This stunt is an attempt to breathe life into their cause." A three-day mourning has been announced in the province by the Khyber Pakhtunkhwa government due to the attack. Pakistan observed National day of mourning and vigil on following Thursday. Chief Minister of KPK Pervez Khattak cut his foreign tour and returned after learning about the news while provincial ministers reached the site as well. Pervez Khattak urged the federal government to take up the matter of terrorism with Afghan government and also send the Afghan refugees back to their country to improve law and order whom Pakistan have been hosting since 1979 Soviet invasion of Afghanistan. Internationally, the attacks received condolences from world leaders including fellow Muslim countries, neighbouring India and most of the major developed countries in one way or another. UN Secretary General Ban Ki-moon was poignant on justice being brought to the perpetrators. The university briefly re-opened on 25 January and vigils were held, but faculty decided later that day to close the university until further notice. On 11 February, it was reported that security levels had been increased by raising boundary walls, adding barbed wire, watchtowers and increasing the number of security guards and CCTV cameras with a control room. A delegation reviewing the security recommended the campus move to a safer location near the motorway to Charsadda on a 62.5 acres (25.3 ha) site. The university finally opened on 15 February 2016 after a closure of over three weeks. Four men were arrested, including Qari Zakir's brother-in-law, for facilitating the attackers. The Pakistani army said they had helped them procure weapons, house them and purchased the rickshaw used to travel to the university. ^ The word Geedar means "jackal" and also is a slang for coward in Pakistani society. ^ Jalalabad is also the final resting place of Bacha Khan. ^ a b c d e f "LIVE: Seven killed, 12 injured as gunmen attack Bacha Khan University in Charsadda – The Express Tribune". The Express Tribune. Retrieved 20 January 2016. ^ "Morning Star :: Pakistan: Taliban targets university in deadly attack". Archived from the original on 22 January 2016. ^ "Bacha Khan University attackers belonged to Tariq Geedar group: sources". ^ a b c d e f "Pakistan attack: Bacha Khan University briefly reopens". BBC News. 25 January 2016. Retrieved 13 February 2016. ^ Joseph W. Raker; Ramāśaṅkara Śukla (1995). Hindi. Hippocrene Books. p. 554. ISBN 9780781804707. ^ a b c "Gunmen storm university in northwest Pakistan". Al Jazeera. 20 January 2016. Retrieved 20 January 2016. ^ "Tariq Geedar Group". dopel.org. Retrieved 14 February 2016. ^ a b "30 dead as gunmen open fire on students at Pakistan university". Daily Mail. Retrieved 20 January 2016. ^ O'Malley, Brendan (2010). Education under attack – 2010. UNESCO. ISBN 923104155X. ^ Bellal, Annyssa (10 December 2015). The War Report: Armed Conflict in 2014. Oxford University Press. p. 224. ISBN 019107862X. ^ Bergen, Peter; Tiedemann, Katherine (11 December 2012). Talibanistan: Negotiating the Borders Between Terror, Politics, and Religion. Oxford University Press. p. 306. ISBN 0199986770. ^ Gul, Imtiaz (10 June 2010). The Most Dangerous Place: Pakistan's Lawless Frontier. Penguin. ISBN 1101434767. ^ "Charsadda Attack in Response to Pathankot Attack". asiantribune.com. Retrieved 23 January 2016. ^ a b c d e "Pakistan Charsadda: Gun battle rages at university – BBC News". BBC News. 20 January 2016. Retrieved 20 January 2016. ^ Boone, Jon (20 January 2016). "Pakistan attacks: at least 30 killed in terror raid at Bacha Khan university". The Guardian. Retrieved 20 January 2016. ^ a b c d e f "APS mastermind claims Bacha Khan University attack, 21 killed". Dawn. Pakistan. 20 January 2016. Retrieved 20 January 2016. ^ "Chemistry teacher defies Taliban in Bacha Khan University attack". Dawn. Pakistan. 20 January 2016. Retrieved 20 January 2016. ^ McKirty, Euan; Safi, Sophia (20 January 2016). "Pakistan university militant attack – CNN.com". CNN. Retrieved 20 January 2016. ^ "Gunmen attack Pakistan university, kill at least eight people". Reuters. 20 January 2016. Retrieved 20 January 2016. ^ "Edhi volunteer claims 15 killed in terror attack on Bacha Khan University Charsadda". Dawn. Pakistan. 20 January 2016. Retrieved 20 January 2016. ^ "Canteen owner's presence of mind saves many lives". Samaa TV. Retrieved 24 January 2016. ^ "Pakistan attack: Vigils held for Bacha Khan University dead". BBC News. 21 January 2016. Retrieved 21 January 2016. ^ a b c Craig, Tim (20 January 2016). "An armed Pakistani teacher is hailed as a hero after Taliban terrorist attack". The Washington Post. Retrieved 14 February 2016. ^ "Nation salutes Bacha Khan University's lecturer Syed Hamid: Imran Khan - Pakistan - Dunya News". dunyanews.tv. Retrieved 23 January 2016. ^ "Slain professor of Charsadda university had written 7 research papers". arynews.tv. Retrieved 16 February 2016. ^ Mohammed Uzair Shaikh. "Bacha Khan University terror attack was controlled from Afghanistan, reveals Pakistan Army". India.com. Retrieved 21 January 2016. ^ Pakistan Journal of History and Culture, Volume 27. The University of Michigan. 2006. p. 33. ^ "Charsadda incident: Taliban Commander's phone call traced, Indian embassy provided money - Pakistan - Dunya News". dunyanews.tv. Retrieved 23 January 2016. ^ Saurav Mukherjee. "Bacha Khan University Attack: Rehman Malik alleges RAW's connections with Taliban - Latest News & Gossip on Popular Trends at India.com". India.com. Retrieved 23 January 2016. ^ a b "20 killed, several injured in Bacha Khan University attack — four terrorists shot dead by forces". 20 January 2016. Retrieved 21 January 2016. ^ "Pakistan remembers its dead: Vigils held on day of national mourning for the 21 victims of Taliban university massacre". 21 January 2016. Retrieved 22 January 2016. ^ "COAS Raheel telephones Afghan president, CE". The Express Tribune. 20 January 2016. Retrieved 20 January 2016. ^ "Khattak asks Centre to send back Afghan refugees". thenews.com.pk. Retrieved 24 January 2016. ^ Segal, Uma A.; Elliott, Doreen; Mayadas, Nazneen S. (13 December 2009). Immigration Worldwide: Policies, Practices, and Trends. Oxford University Press. ISBN 0190452749. ^ "International reaction: World leaders condemn the 'cowardly attack'". The Express Tribune. 21 January 2016. Retrieved 13 February 2016. ^ "Statement by High Representative/Vice-President Federica Mogherini on the attack on the Bacha Khan University, Pakistan". European External Action Service. Retrieved 20 January 2016. ^ "Jordan, Saudi, Japan, Philippines, China condemn Charsadda attack". Archived from the original on 30 January 2016. ^ "German Ambassador condemns Charsadda attack". ^ Zia, Asad (11 February 2016). "Attack aftermath: Development work halted at Bacha Khan University". The Express Tribune. Retrieved 13 February 2016. ^ "Bacha Khan University to re-open on Monday - Mumbai Mirror". 13 February 2016. Archived from the original on 13 February 2016. Retrieved 27 March 2018.